I'm linking up with Tiffanie for her Product of the Week link-up! I've gotten tons of comments, tweets, and emails asking about the iPad case we use for Kate's iPad. I guess I've posted pictures of her playing with it but never commented on the actual case. We have an iGuy and I love it! It is very easy for Alex and I to put the iPad in and out of this case which makes it nice for storage purposes. We can ensure the iPad is nice and protected from our rambunctious toddler yet don't have to worry with carrying around the bulky kid friendly case all the time! Kate is very hard on the iPad and this case has protected it for 7 months - it's been dropped out of the stroller multiple times and is still in perfect condition! The arms make it very easy for her to hold on to it while watching a movie and the "feet" allow the iPad to stand up on a flat surface which is nice too! I have been very impressed with this case and it's on my "must have" list for anyone that has an iPad that a toddler will use! Love this! We have ours in an otter box and its great but this looks a lot easier for the kids to hold! Thanks for the info! 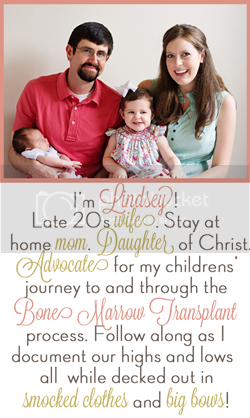 Lindsey, thanks for sharing! This looks like a great product and it's cute. This is awesome!!! I am definitely thinking we will be getting one of these soon!!! I NEED one of these! I just posted about the iphone case and I love that. I definitely need this for my iPad! Thanks! This is GREAT. I got an ipad for Christmas but haven't used it yet for fear of attracting the toddlers to it and not being fully protected :) Thanks for the tip!